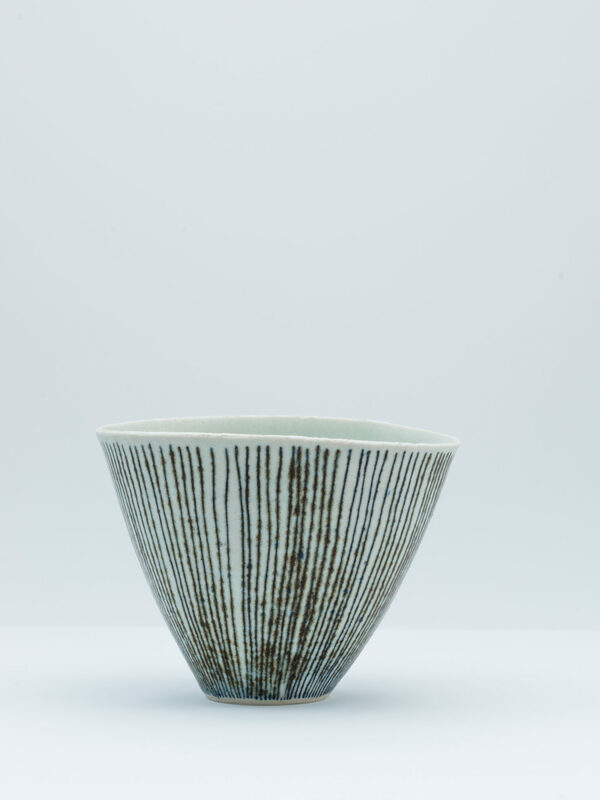 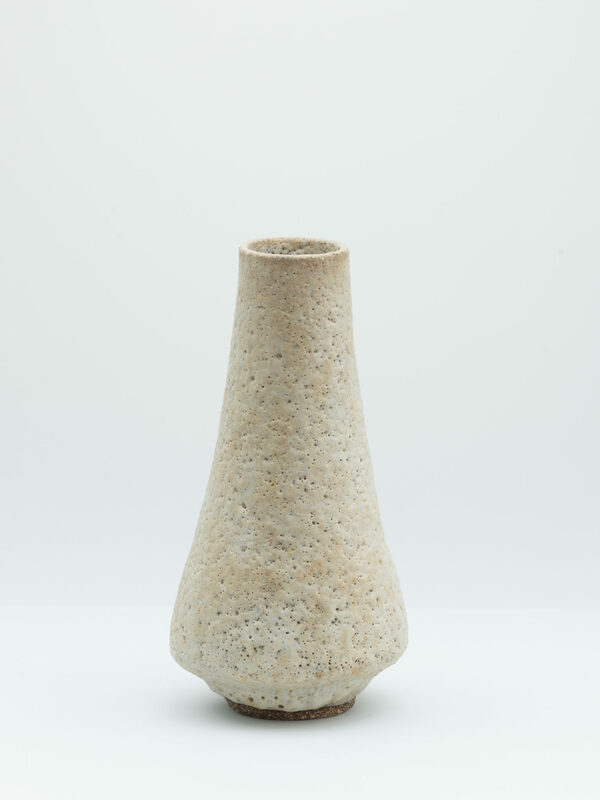 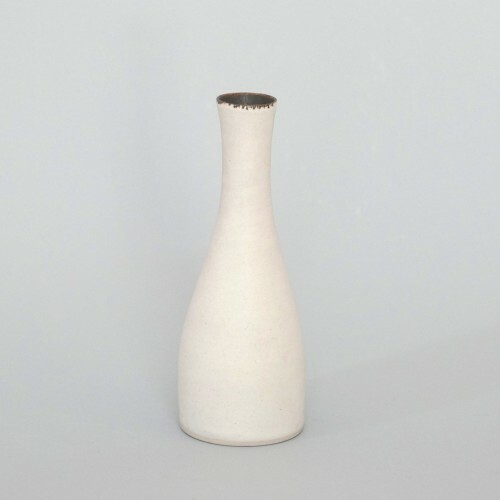 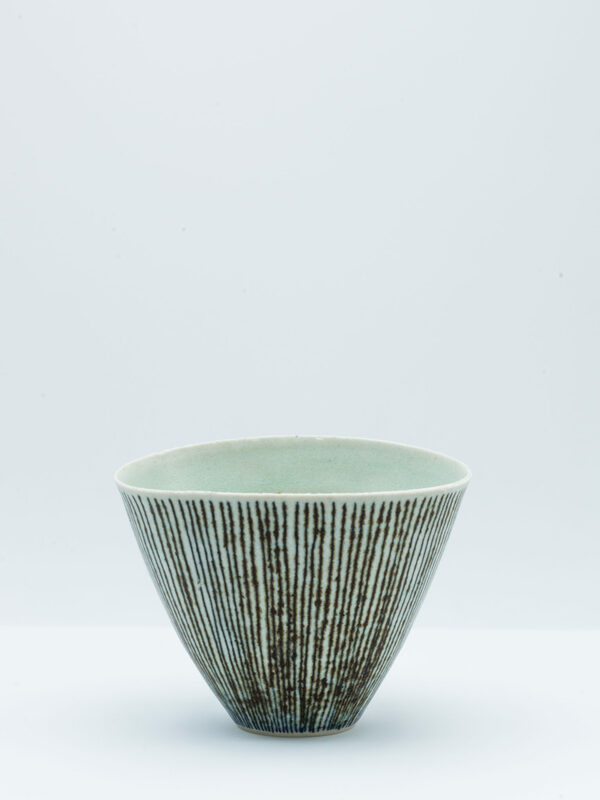 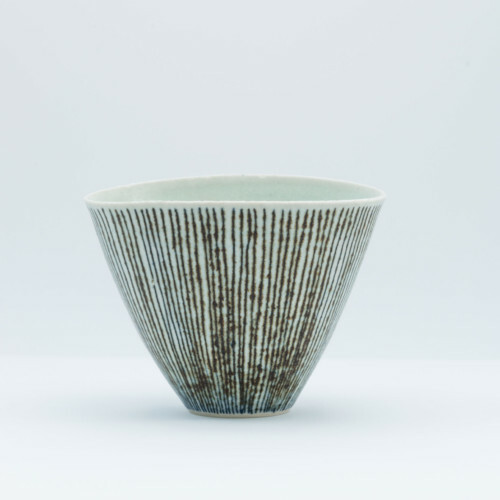 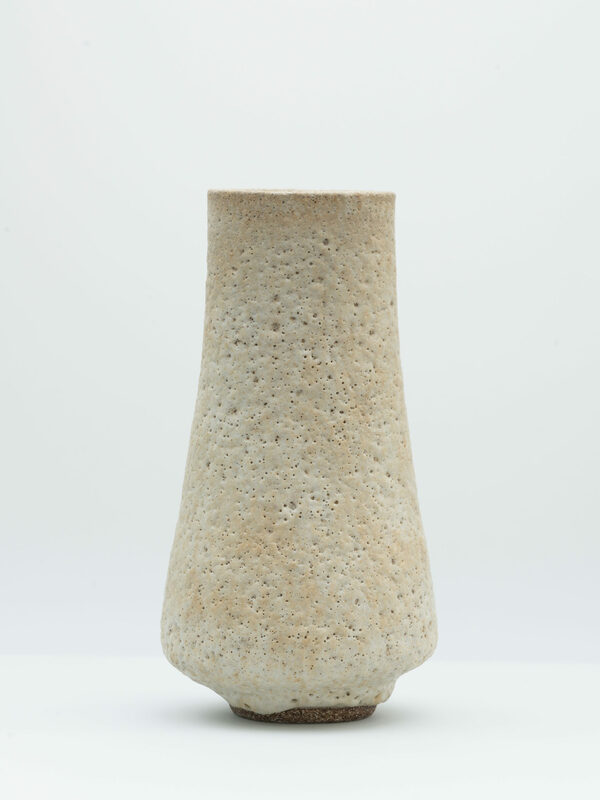 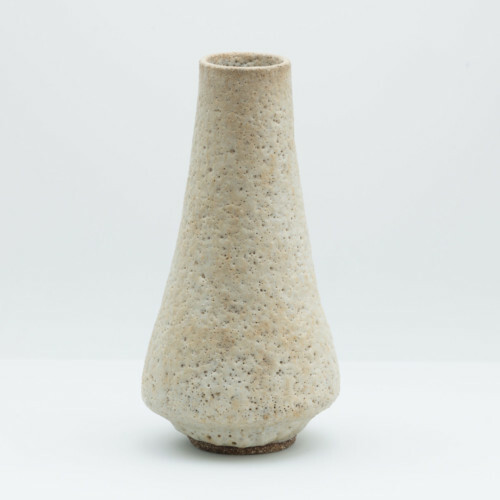 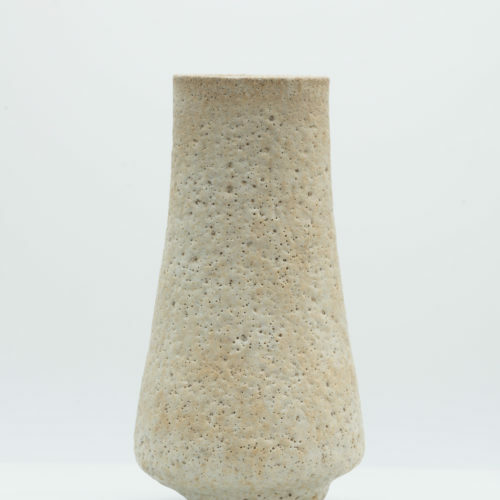 Born in Vienna, Lucie Rie (née Gomperz) studied ceramics at the Wiener Kunstgeweberschule under Michael Powolny and Robert Obseiger from 1921 to 1926. 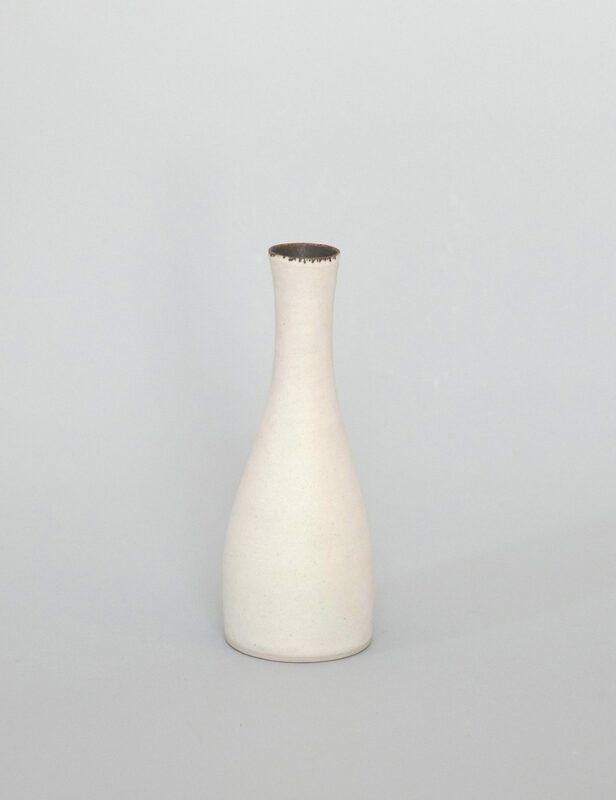 She showed her work in various exhibitions concerned with the products of the Wiener Sezession, including the Paris exhibitions of 1925 and 1936. 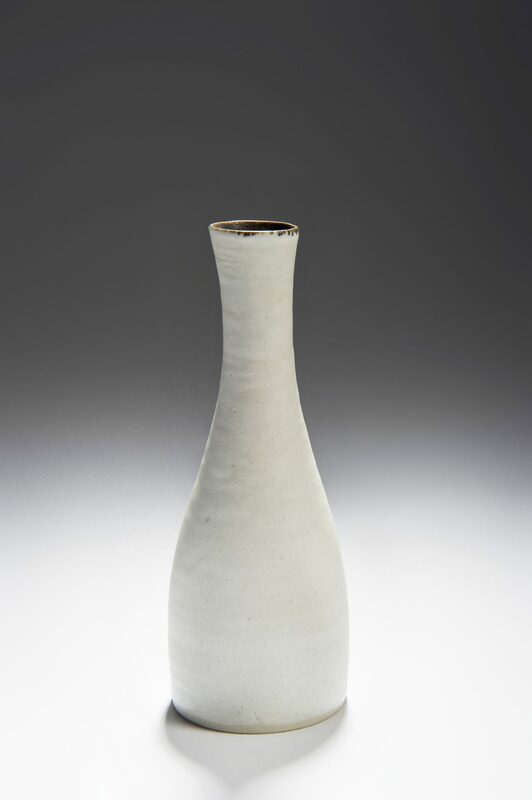 She arrived in England in 1938 and established her studio in Albion Mews, West London, where she remained for the rest of her working life. 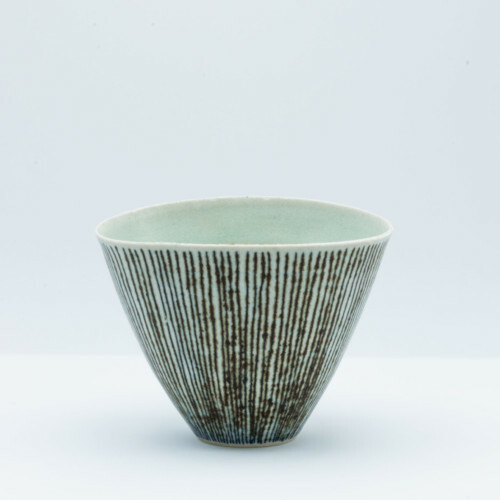 Her earliest English works were ceramic buttons, brooches and tableware, which she made with the assistance of Hans Coper after the Second World War. 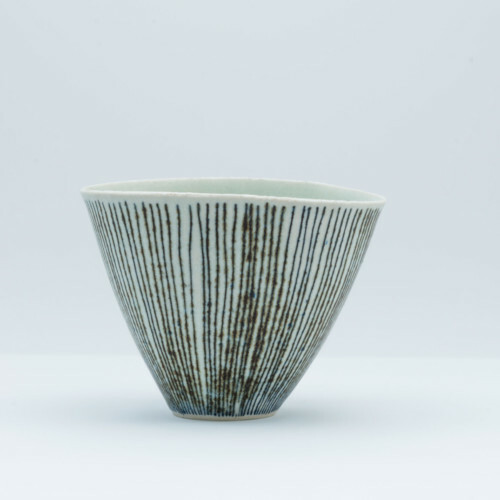 However, once wartime exigencies and immediate post-war austerities were over, Rie was free to develop her work, bringing to it an infallible sense of style combined with a certain ‘English’ sense of balance between form and surface. 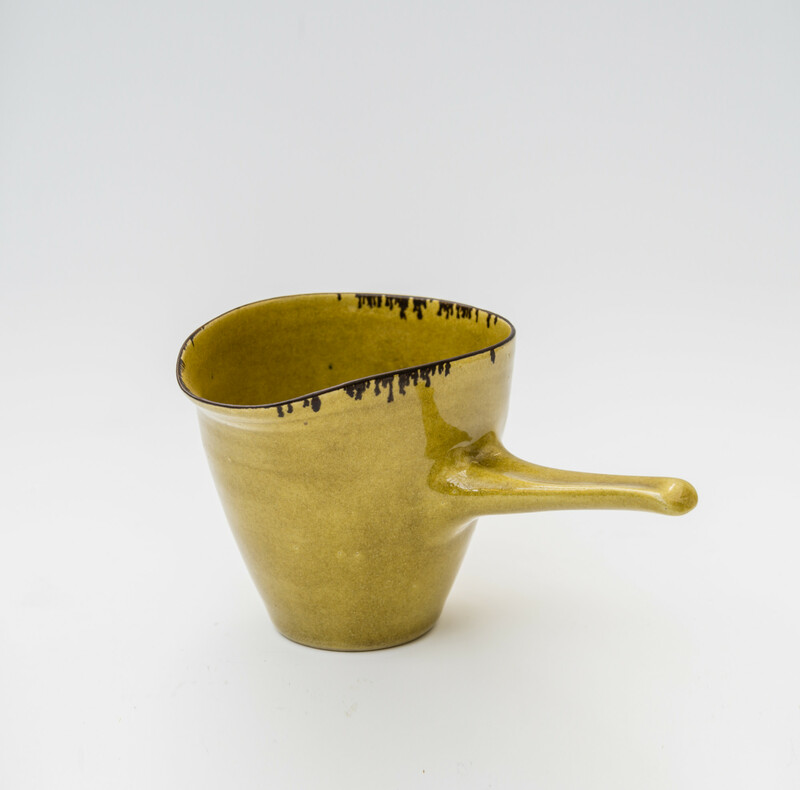 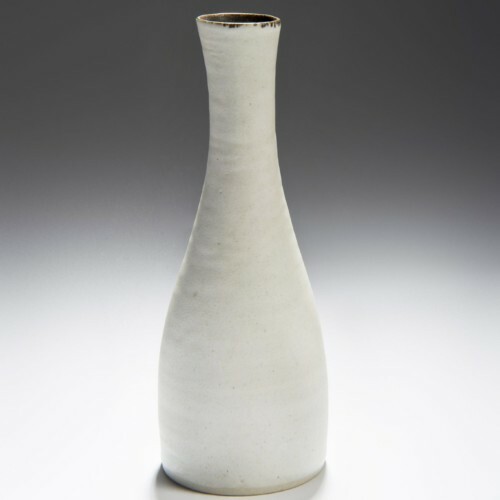 Even after Hans Coper left to set up his own studio in 1958, they continued to exhibit together and their work, although very different, represented a new departure from the Oriental influences that until then had been the British studio potter’s sole source of reference. 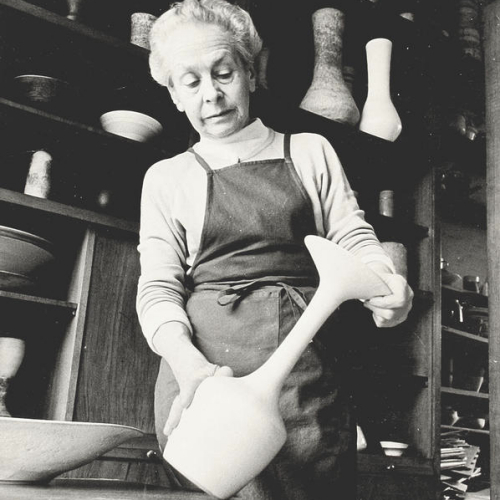 Lucie Rie’s work is to be found in numerous major public collections, as well as many private ones. Porcelain, inlaid blue and manganese lines beneath a pale blue glaze.